DC Movie News Shazam Shazam! 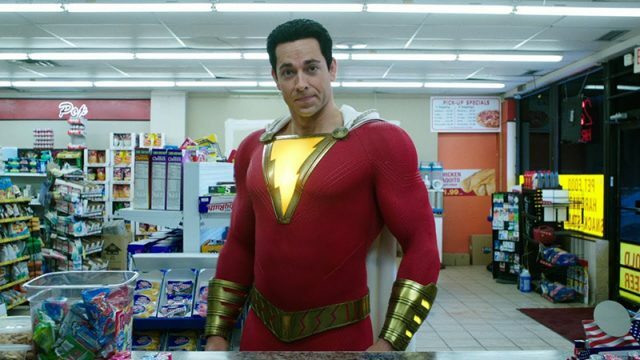 Warner Bros. and New Line aren’t wasting any time with the sequel to Shazam!. Fresh off a $53 million opening weekend, the studios have reportedly signed screenwriter Henry Gayden to return for the sequel. The Wrap broke the news about Gayden’s return, which also indicated that director David F. Sandberg and producer Peter Safran are likely to return as well. Gayden was the sole credited screenwriter on Shazam!, but he shared story credit with Darren Lemke. Previously, Gayden was an assistant on Spider-Man 3 before scripting Earth To Echo. Gayden is currently writing the adaptation for Last Human, an upcoming sci-fi novel. Warning: There are spoilers ahead for Shazam! While Shazam! was largely self-contained, it did open a few doors for a sequel. For example. Billy Batson probably won’t be the only hero in the next movie. The mid-credits scene also introduced a bizarre villain directly from the comic books. There’s even an allusion to Black Adam early in the film, although not by name. Dwayne “The Rock” Johnson has been attached to play Black Adam for years. However, the decision was made to leave Black Adam out of the Shazam! movie. Earlier today, Johnson reacted to the success of Shazam! on his Instagram account. He also indicated that the Black Adam solo movie may finally begin filming in a year or so. What do you want to see in the Shazam! sequel? Just say the word and leave a comment for us below!